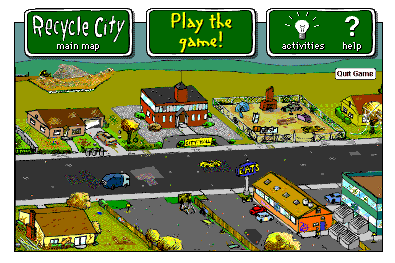 Have you played “Dumptown?” An online game from the EPA that puts the player in the position of City Manager who is tasked with starting new programs that encourage recycling and waste reduction. The programs track how much waste is saved from landfills and how much money is spent on the programs too. Dumptown would be a fun addition to units focusing on city government, environment and recycling.